Fillings are one of the most basic methods of restoring teeth. They fill a hole in the tooth that has been caused by decay, and play an important role in helping us to keep a tooth for many more years.  At our dental practices we use the most effective, modern, tooth-coloured materials. 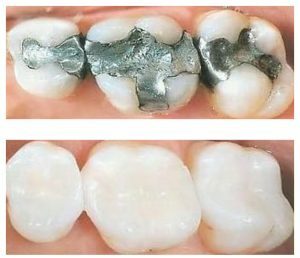 Unlike the more traditional grey amalgam fillings, the tooth-coloured ones look very natural, so no-one will be able to tell you have them. We employ the most gentle and comfortable anaesthetic techniques, as well as the strongest and most effective anaesthetics. We always ensure that throughout every visit with us you can be completely comfortable from start to finish. We will then shape the filling, so that it looks as realistic as possible, and so it does not interfere with the way your teeth meet when you bite and chew. It will feel smooth and should be comfortable immediately. White fillings are only suitable where there is enough tooth structure left to support them. Where a tooth has a large old filling and you would like it replaced with a white material it is usually more reliable to get a porcelain onlay. This is a custom made block of porcelain which fits perfectly in your tooth and is made in a dental laboratory. Ask your dentist which option is best for your particular situation.